Climate change will exert an enormous impact on all societies in the medium to long term. Tourism, as both a commercial activity and social phenomenon is not immune. To date, industry has been slow to recognise the scale of the threat posed by a changing climate on its operations and consumers have been extremely reluctant to modify their travel behaviours. The Asia Pacific region is well on the way to being the 21st Century powerhouse of tourism, however the manner in which it develops will, in part, be determined by how the global community responds to climate change. 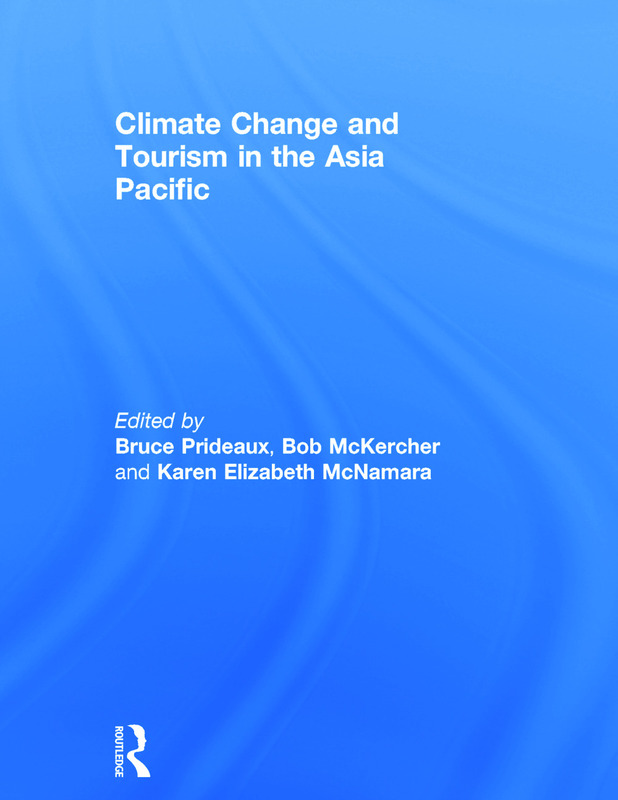 This book examines climate change issues related to tourism in the Asia Pacific region. Chapters discuss demand and supply side issues, explore government policy responses and introduce several new adaptation models. The book also calls for a more effective linking of social science research with the scientific discourse to create long term resolution of and adaptation to this issue. This book was published as a special issue of Asia Pacific Journal of Tourism Research. Bruce Prideaux is Professor of Marketing and Tourism Management at the Cairns campus of James Cook University. His interests include climate change issues, tourism transport issues, crisis management, marine tourism and rainforest tourism. Bob McKercher is a professor of tourism in the School of Hotel and Tourism Management at the Hong Kong Polytechnic University. He has broad ranging research interests including sustainability in its broader sense, tourism development, spatial analysis of tourism and special interest tourism. Karen McNamara is a Lecturer in the School of Geography, Planning and Environmental Management at the University of the Queensland. Karen has largely worked in the Asia-Pacific region on areas including community-based climate change adaptation, human mobility, sustainable livelihoods and resilience.